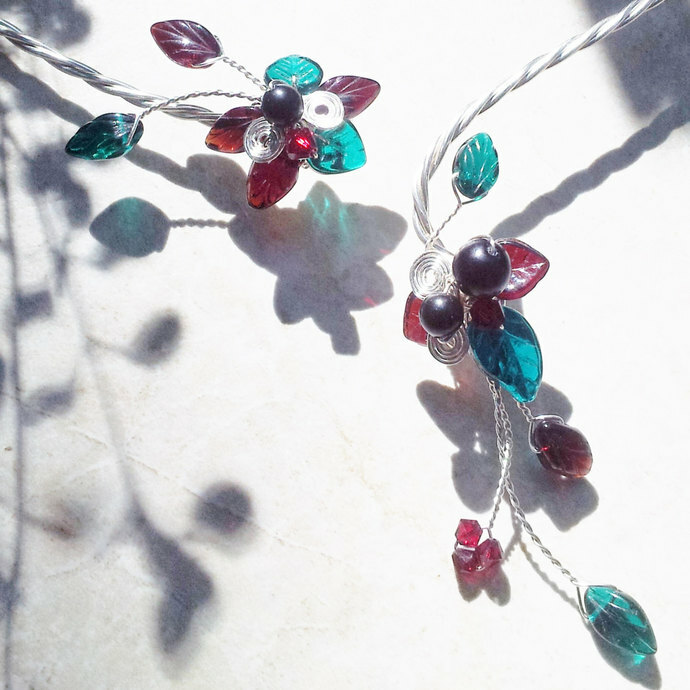 NOTE ON LENGTH: the length options are approximate for how the necklace will fit if you are wearing it "closed" with the flowery bits nestled close together. 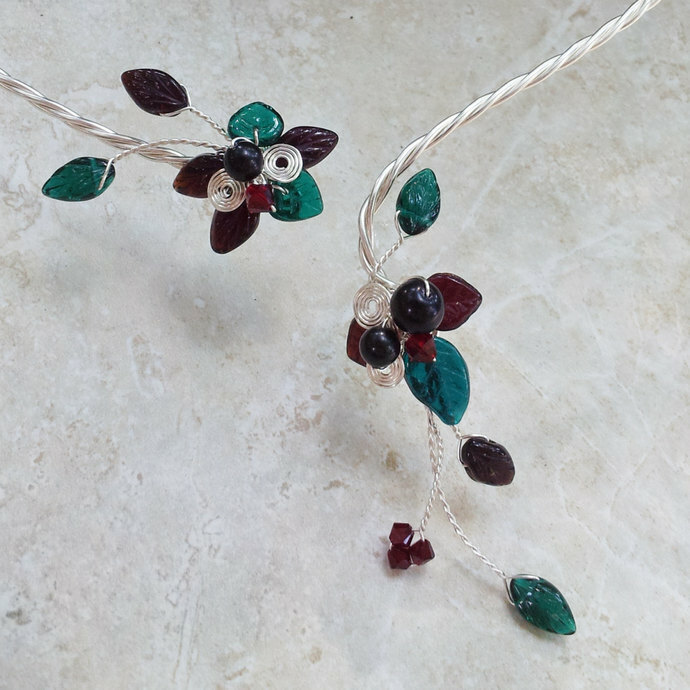 The leaves will hang down about 2 inches below this. 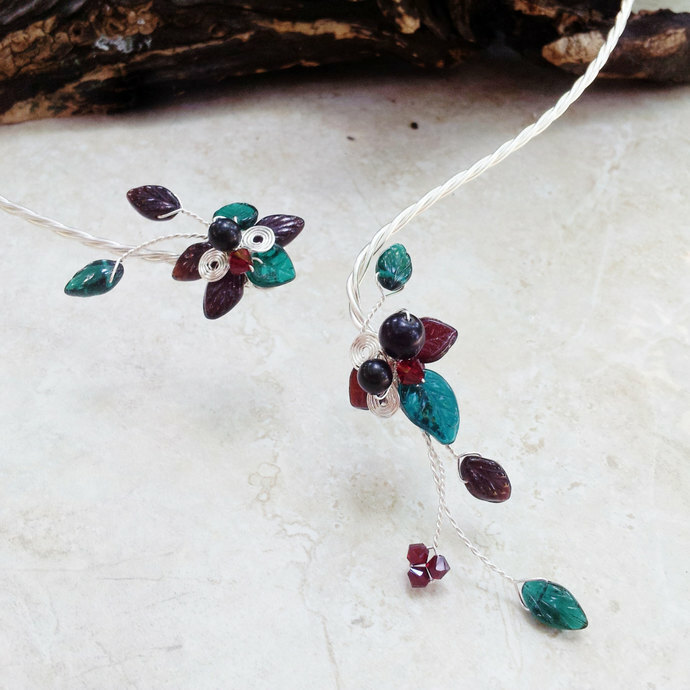 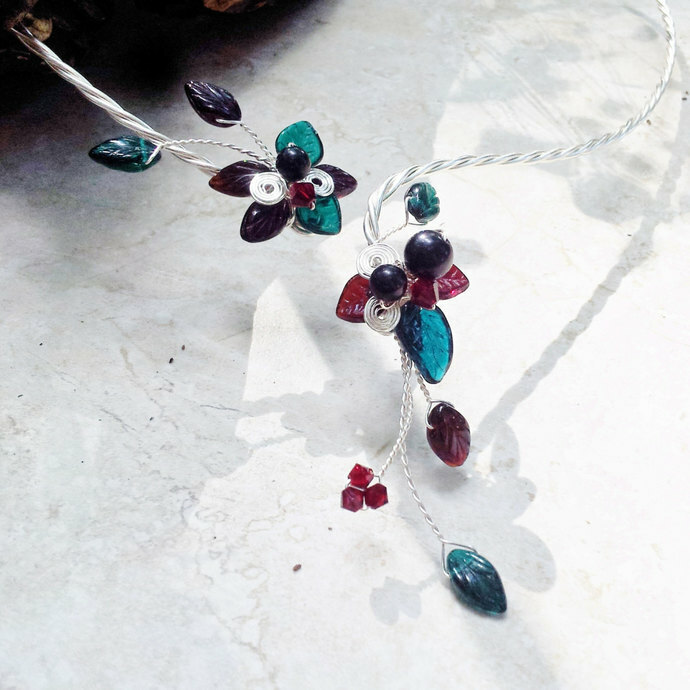 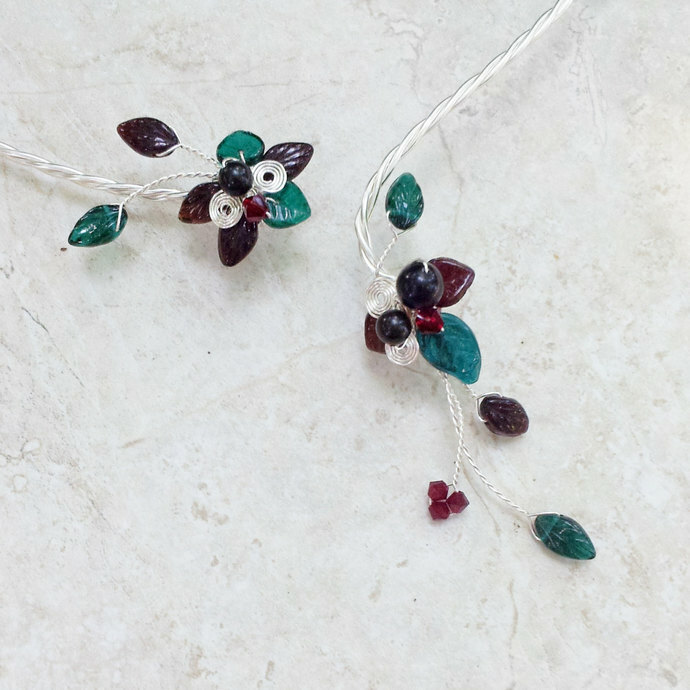 Green and red Czech glass leaves, genuine Swarovksi Crystals and pearls make up the design.